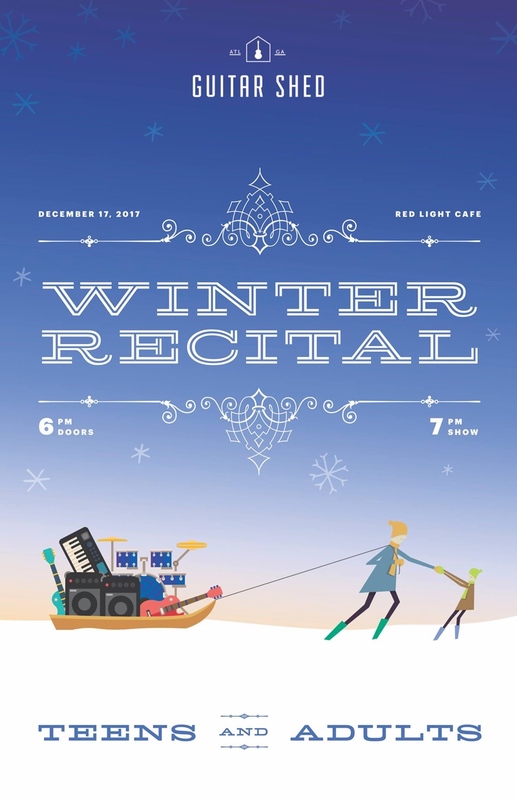 Join us for Guitar Shed's Third Annual Winter Recital! Featuring Guitar Shed students ages 13 and up playing a wide variety of instruments and styles. Music begins at 7 pm with our youngest students performing first. Guitar Shed is a modern music school located in the Kirkwood neighborhood of Atlanta. Guitar Shed was founded in 2015 with the intent to offer a unique educational experience and an emphasis on lifelong learning. We provide high-quality customized instruction in a relaxed environment that is optimal for learning. With a diverse set of teachers and instruments, Guitar Shed welcomes students of all ages and abilities.